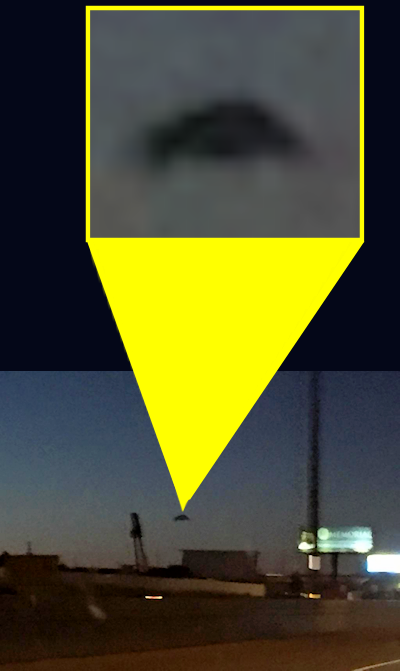 A Utah witness at Salt Lake City reported watching a “black, disc-shaped” object that split into three objects, moved back as one object, and then quickly flew out of sight, according to testimony in Case 78355 from the Mutual UFO Network (MUFON) witness reporting database. The witness, age 37, his sister, age 24, a 27-year-old brother and two sons, ages 8 and 10, were driving along I-15 just south of Salt Lake City at 9:20 p.m. on August 11, 2016, when the incident occurred. ... The object then began to quickly move away.